Pure Campphor Oil & Oil of Camphor - Where to Buy Camphor Oil? Blends Well With: Camphor oil blends well with Basil, Cajuput, Camomile,Melissa and Lavender Oil especially for uses in aromatherapy. Camphor oil has many medicinal properties and is a stimulant,antispasmodic, antiseptic, decongestant, anaesthetic, sedative and nervous pacifier, anti-neuralgic, anti-inflammatory, disinfectant, and insecticide substance. Camphor oil being an effective stimulant boosts the activity of the circulatory system, metabolism, digestion, secretion and excretion. Camphor oil helps in treating problems and ailments connected with improper circulation,digestion, sluggish or overactive metabolic rates, obstructed secretions, and a wide variety of other less common conditions. Camphor oil is very helpful in giving relief for gas trouble because it does not let gas form and it effectively removes the gases and drive out them in a healthy way. Camphor oil acts as a good anaesthetic and is very useful for local anaesthesia because it causes numbness of the sensory nerves at the area of application. It also reduces the severity of nervous disorders and convulsions, epileptic attacks,nervousness, and chronic anxiety. Camphor oil does have some narcotic effects because it temporarily desensitizes the nerves and relaxes the brain. If taken in excess it can also make a person lose control over their limbs, since it impacts the function of the brain. The camphor tree is a native to Taiwan, China and Japan and can often grow very old. It must be at least 50 years old to produce the oil. The camphor tree can grow up to 35 meters and the lively component is found in every part of the tree. 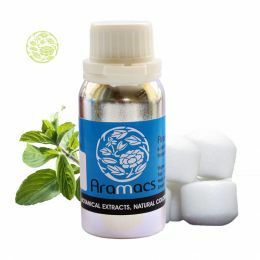 Camphor essential oil is extracted from the Cinnamomum Camphora and is also known as true camphor, hon-sho, gum camphor, as well as Japanese and Formosa camphor. 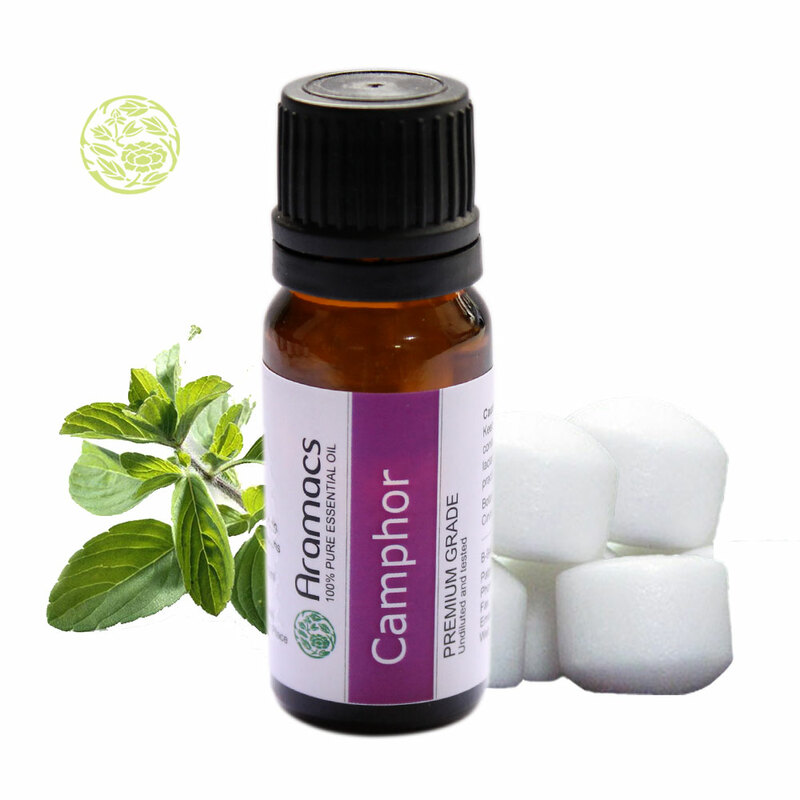 The word camphor is derived from the French word camphre which itself is from Medieval Latin camphor a, from Arabic kafur, from Malay kapur barus. It is often called kapur chalk because of the white colour. The tree is a large evergreen tree which grows up to 30 metres tall and its leave has a glossy,waxy appearance and smell of camphor when squeezed. The tree is a native of China south of the Yangtze River, Taiwan, Japan, Korea and Vietnam. Extraction Process: Camphor oil is extracted by steam distillation from the chipped wood, root stumps and branches and is then cured under vacuum and filter pressing. Camphor oil acts as an effective antispasmodic and provides immediate relief from spasms and cramps.The oil is also effective in curing intense spasmodic cholera. Camphor oil when consumed or eaten enhances the libido by stimulating parts of the brain which boosts sexual desires and urges. When applied topically it cures erectile problems by increasing blood circulation in affected parts and this is mainly because of its stimulant properties. Camphor oil is useful in helping to cure all kinds of inflammations, both internal and external. It relaxes the body and mind and provides a feeling of peace and freshness and especially during summer it is the best oil to use for cooling the body and mind.